The Oxford Cadet teams went to Cippenham for the second series of NCL matches with many hopes resting in the balance. The A team (Toby Dow, Bertie Anstis and Cooper Whitford), beginning the day with a one point lead at the top of Division 2, took on their nearest rivals, Crusaders C, in a match of high quality, distinguished by a maximum from the ever improving Bertie, but losing 4-5, which put the two teams level, with one match to play to complete the first round. Next up were Cippenham B and an early defeat for Cooper seemed ominous, but after that the team battled through to an 8-1 victory, while Crusaders C could only manage 6-3 against Kingfisher B. Promoted to the 1st Division, Bertie continued his fine form to defeat Douglas Claridge-Hansen and Jayden Caldeira of Cippenham A, before losing his 100% record in the final singles against the talented Pranav Gudipati. So far Bertie has won 17/18, Toby 10/18 and Cooper 8/18. 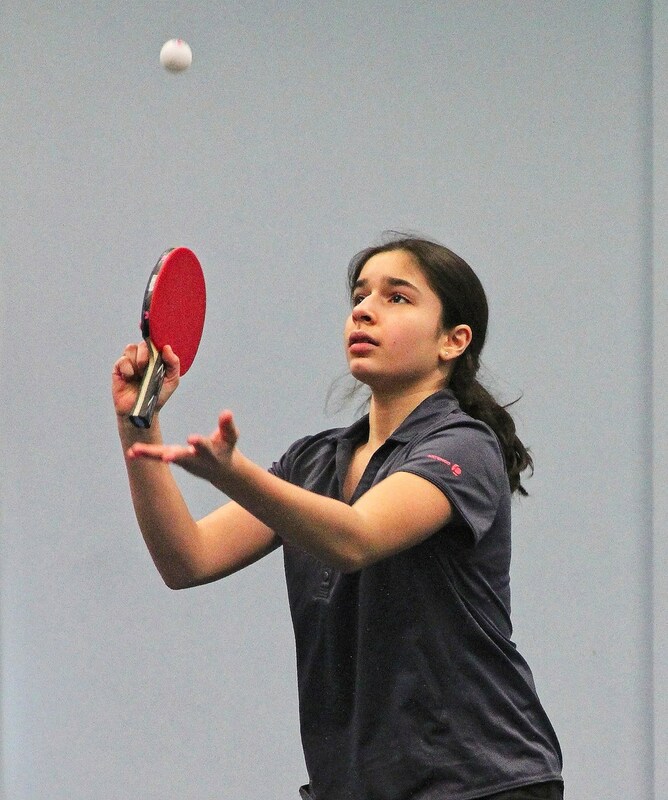 12 year-old Pelin Karabulut continues to take on the boys in Division 2 with remarkable success. The B team (Pelin Karabulut, Ethan Morgan and Edward Davis) were in 5th place in Division 2, only two points separating them from the bottom, but a fine 7-2 win over Cippenham B, with a maximum from Edward, cast aside any worries about relegation. In the next match they lost 4-5 to Crusaders D, who were nevertheless relegated by dint of earlier results. Starting afresh in the second round of Division 2 matches, they were able to defeat the team coming down from Division 1, St Albans A, by a 6-3 scoreline. They have really found their feet in Division 2, led by Banbury newcomer Ethan with 10/18, but with very promising performances from the two 12 year-olds Pelin & Edward, both with 8/18. Tom Williams, Miles Davis (12) & Joseph Fisher (just 11), representing the C team, held on to their place in Division 3, but found it very hard going, beaten by Ashford B (2-7), Hillingdon A (2-7) and the team promoted from Division 4, Chiltern C (1-8). Joining up with David Brice in the D team were the returning Adam Jenner and newcomer Ethan Rose. Starting out with only 5 points, they climbed up to 12, defeating Hillingdon A 5-4 and losing 2-7 to table-topping Crusaders E, ending up three points below Cippenham C and thus relegated to Division 4 (which is where, incidentally, I had requested both the C & D teams to start out, given their inexperience.) Adam (7/9) and Ethan (6/9) competed well, each claiming one win against the gifted youngsters of Crusaders E and guiding the team to a good start in Division 4 with a 7-2 win over Chiltern B. David struggled throughout the day, but kept up his efforts to record one win in the last match.